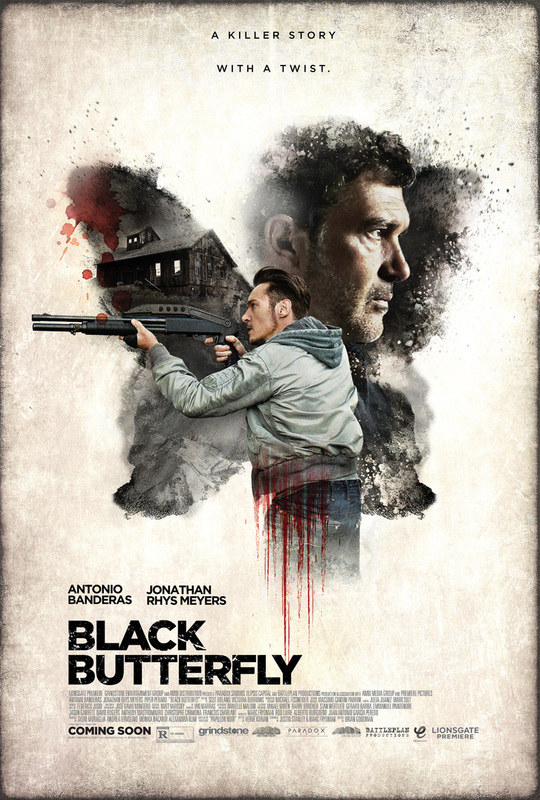 Lionsgate Premiere has debuted the first Black Butterfly trailer and poster. The film stars Antonio Banderas (Desperado, Haywire, The Skin I Live In), Jonathan Rhys Meyers (Match Point, Mission: Impossible III, The Tudors) and Piper Perabo (The Prestige, Looper). An adaptation of the acclaimed French thriller, Papillon Noir, you can check out the Black Butterfly trailer below along with the poster and stills in the gallery! Directed by Brian Goodman and written by Marc Frydman and Justin Stanley, Black Butterfly will be in theaters and On Demand on May 26.